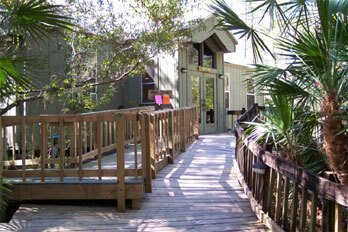 MEETING SITE : In Ft. Myers, Florida at the Calusa Nature Center , near Colonial Blvd. (S. R. 884) and Interstate 75. Get off I-75 at exit #136 (old exit #22) and go west (towards the coast) on 884 (Colonial Blvd.) for one-half mile, then turn right at the first traffic light onto Ortiz Ave., and then left into the Nature Center after only one-quarter mile. The Iona House meeting site is an older dark green house located to the left (as you enter the grounds) at the rear of the complex, back near where the school busses are parked. The meeting opens at 7:00 pm, and the speaker usually starts no later than 7:15 pm. Non-members must pay $3.00 at the door to attend the meeting (12 and under are free). Click HERE for a map to the meeting site. 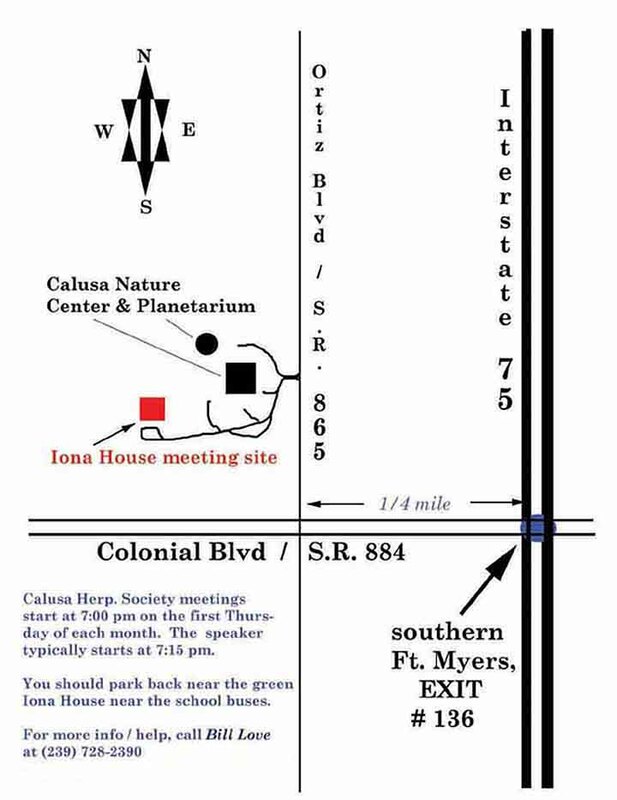 After each meeting, all attendees are invited to join "the core" for an informal nightcap/dinner at Stevie Tomatoes Sports Bar on the NW corner of Daniels Blvd at I-75, where we gather following meetings which end between 8:30 - 9:00 pm.